I mentioned in “Stone Carvings: Curves, Crowns, an Ouchie, and More” how drawn I was to the curved shapes among the many items in the gardens behind the Nishimura Stone Lanterns stone-carving workshop. 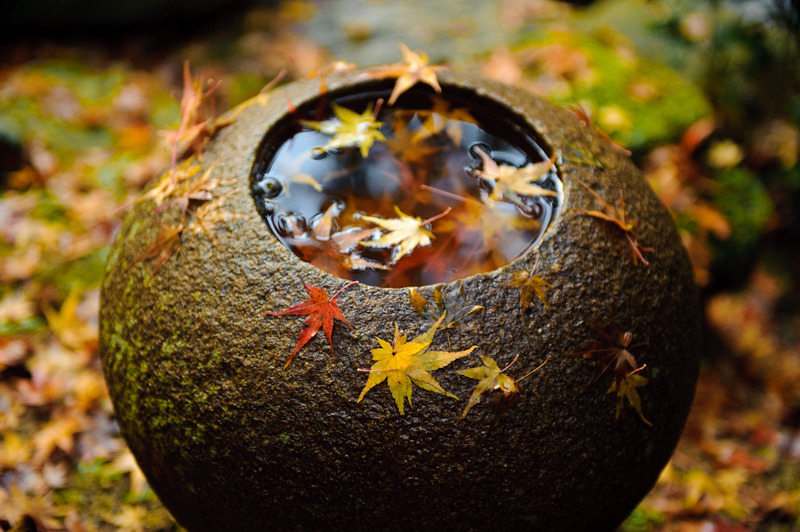 I recall several moss-covered basins, but I seem to have neglected to take pictures of any. I'm really drawn to them while reviewing the day's photos, but I apparently didn't pay much attention while I was there because the only photos I have of them are Paul Barr's, who went with me on that trip. The unprocessed shot at the bottom of the “Paul Barr / Stonecarver's Garden” post truly had no post-processing except for resizing, so its white balance setting remained at what the camera guessed at. The one above was set after using a netural card for reference, like this and this. 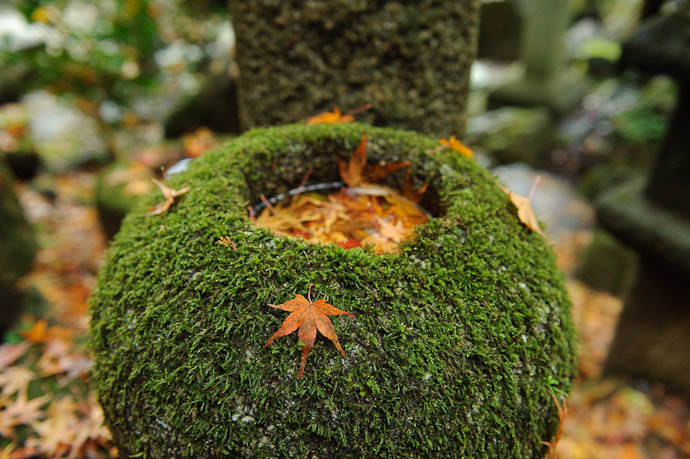 In looking at the two above – moss vs. stone – I very much prefer the second. I vaguely recall a really great moss-covered basin, but I can't find it in the photos. I guess I'll have to just head back to check it out. The current forecast is for a touch of snow tomorrow night (New Year's Eve), so maybe a trip back to the gardens on Jan 1 will be in order.... a little frost-dusted moss might make for a pretty sight. Like I said, I barely noticed these things while I was there, so I'm very glad that Paul gave me a dump of all his shots, and the permission to share them. He's an excellent photogrpher with a great eye, so it's too bad that he doesn't have the time/energy to share them in an online gallery himself. He just enjoys taking pictures. I can't say that I blame him... to share them takes a lot of effort, even with great tools like Lightroom. On the other hand, keeping in mind my blog while I'm out with the camera – what I might want to share, and how – really adds a lot of enjoyment for me.